floating world: Raise your voice! 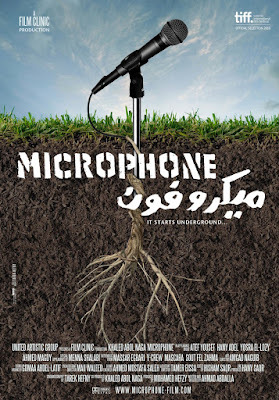 Watching Microphone now, which is basically a love letter to Alexandria, is all the more poignant considering what's been happening in Egypt for the last few months. Director Ahmad Abdalla succeeds in capturing the essence of the youth culture in the Egypt's second largest, cosmopolitan port city. This film was first conceived as a documentary- shot on HD with a small mobile crew. Then it later evolved into a narrative starring the TV/film superstar Khaled Abol Naga (who also serves as a producer) while keeping the small scale filmmaking intact. It features some of the best underground musicians and graffiti artists the sun drenched bustling Mediterranean city can offer. Khaled comes back after 7 years of living overseas. He finds that his old flame no longer wants him, his father non-communicative after his mother's death and himself not knowing what to do with his life. While working at an advertising firm and wandering around the city, he encounters many young street musicians, artists and tech-savvy skaters. Collecting underground music becomes an obsession for him. He teams up with the local college film students who have been working on their thesis project about the street culture, and tries to organize a show. The music is outstanding, Abdalla gives an ample time to each real performers (notably Massar Egbari, Y-Crew, Mascara, Soot Fel Zahma and Nossair) to express their thoughts through their diverse musical forms - hip-hop, metal, rock, etc. Some music reflect their discontent of the government and some connect with the other theme of the movie - love and heartbreaks. The disjointed breakup scene of Khaled and Salma is present throughout the film. As Khaled and crew work on going over the hurdle that National Art Council set up for them, it becomes apparent for all to see that the old folks who are in charge will always embrace the old and never give a chance to the young generation to voice their opinion- there is a funny bit where a weaselly art council member announces that he decided to go for a friend of Umm Kulthum (perhaps the best known traditional Egyptian singer, born in 1893) instead of Massar Egbari for one of the government sponsored concert. It's a bittersweet, elegiac film fluidly put together with the colorful, vibrant backdrop of Alexandria. It is a very portentous film, as the one of the characters in the movie says, "You move on, but live each day with a little bit of sadness." 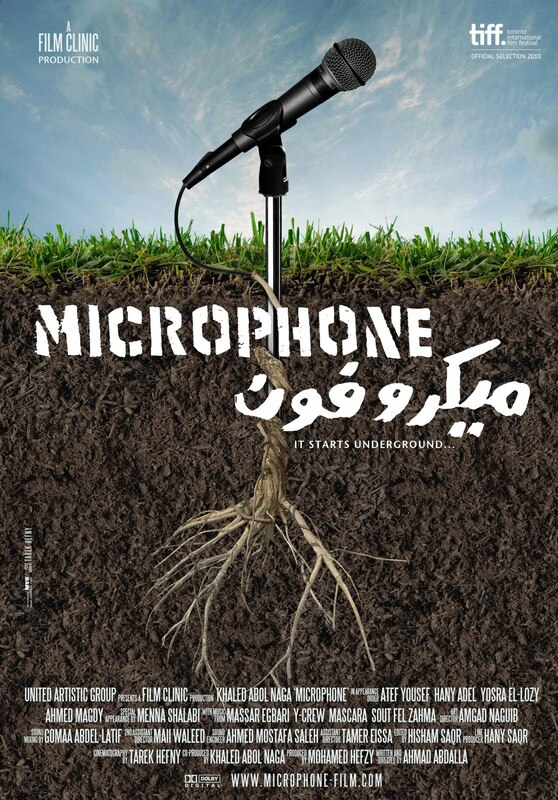 Microphone plays as a part of ND/NF 2011, 3/29 8:30pm at MoMA and 3/31 6pm at FSLC. For more information and tickets, please click on ND/NF 2011 website here.